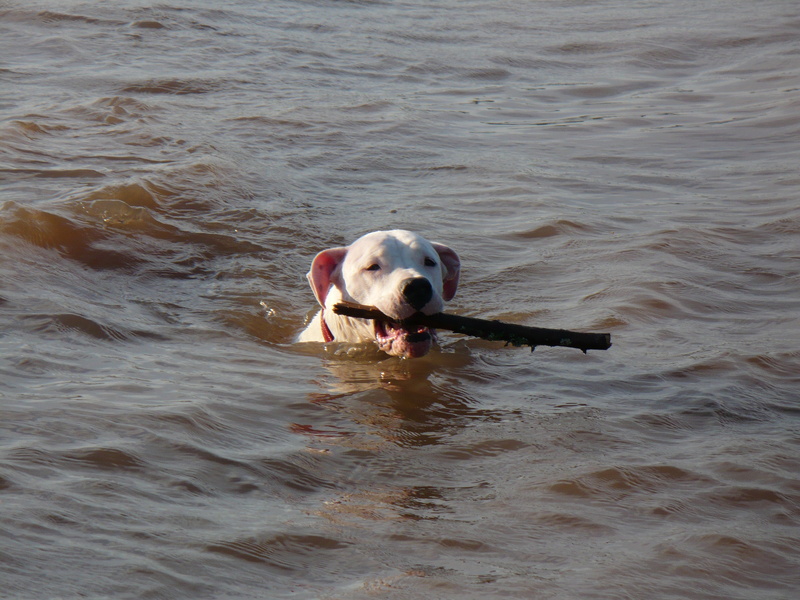 We thought we’d enjoy a nice weekend outdoors where our Dogo Argentino could run and play while we enjoyed a night under the stars and a campfire or two. 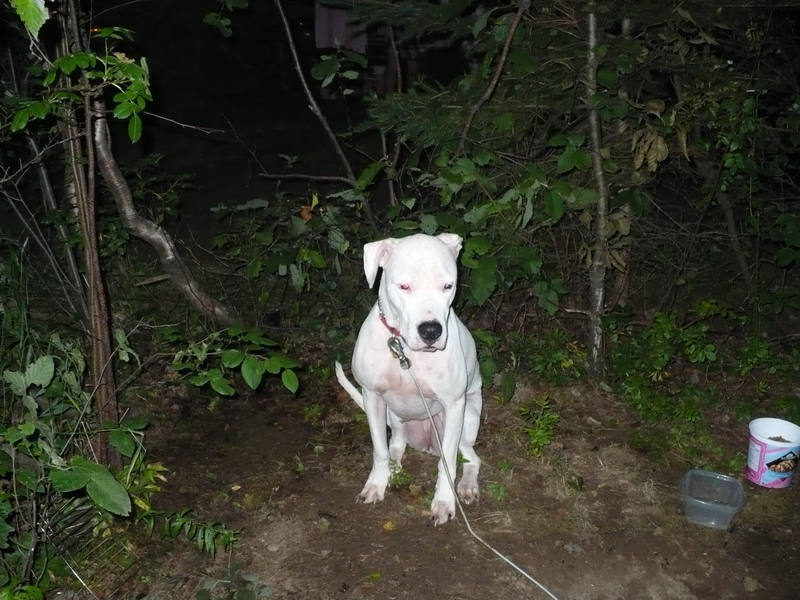 Well, we didn’t see much of the stars as our tents cover wasn’t something we wanted to try to take off and Corona decided she would rather be in a hotel room or cottage than a tent. 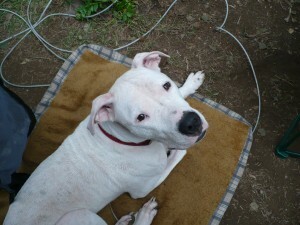 This Dogo enjoyed meeting our new neighbours but wasn’t much for sleeping during our couple nights away. We bought a super sized tent to give her room not realizing how much room she’d take pacing and staring us down till we awoke. Now sound asleep on her comfortable bed in our house Corona wouldn’t even consider eating a bone while on vacation (save for the bones she wasn’t supposed to have). Not sure when we’ll get the chance to go camping again but I’m sure Corona will become accustomed to it just as quickly as we will to setting up the tent. 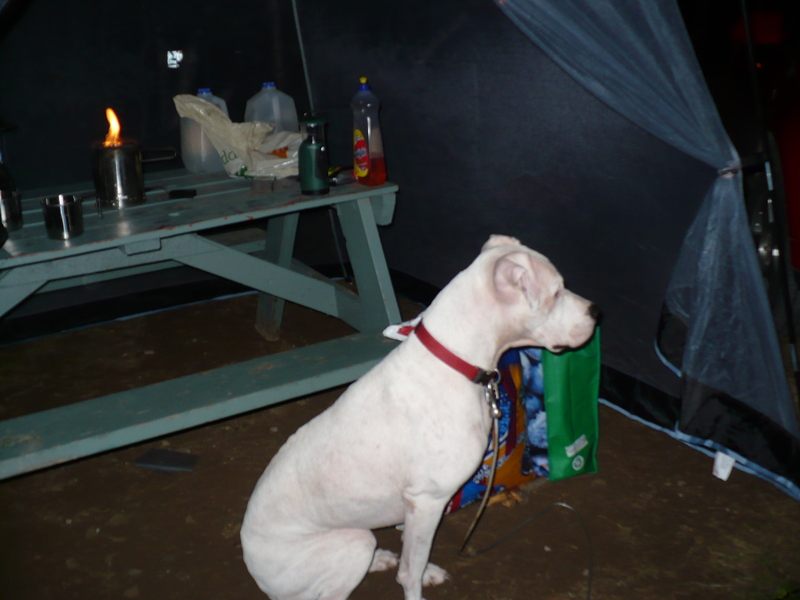 This entry was posted in Corona and tagged Bones, Campfire, Camping, Camping With A Dogo Argentino, Corona, Couple Nights, Dog Camping, Dogo Argentino, Dogo Camping, Hotel Room, New Neighbours, Sized Tent, Stars, Tents on August 18, 2008 by CoronaTheDogo.